Our hands are one of the first parts of our body to age. Hands are often neglected when we apply sunscreen and moisturiser, and can be left looking dry and sun damaged as they are often exposed to the sun and elements year round. Look after you hands with a good hand cream and don't forget to be sun smart! When it comes to pampering your hands and nails, a nice manicure set, nail polish or file can be a life saver, and they also make fantastic gifts. 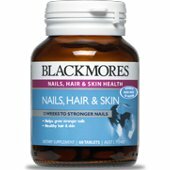 Check out our Most Popular Nail Care Products below or use the navigation links to see more products. Hand and nail care at home - Hand and nail care tipsPrices are Inclusive of GST (sales Tax). The first step in caring for your nails is removing your old nail polish. Next, dab olive oil onto your nails and your hands and massage for two minutes. Dab a scrub on your palm and massage your nails and hands for another two minutes. Soak your hands in warm water for two minutes. Clean your hands. Apply moisturiser. And lastly, apply fresh nail polish to your nails.